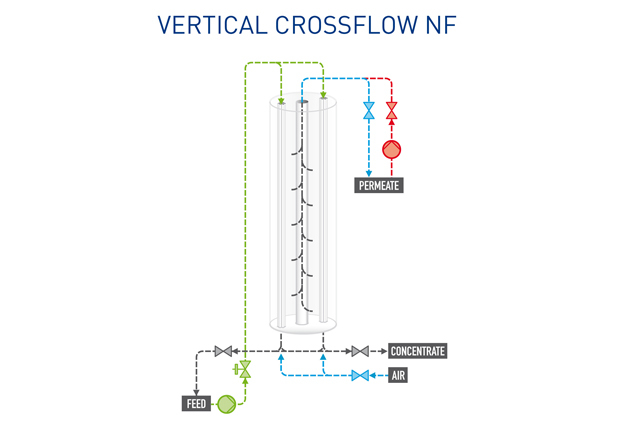 X-Flow’s HFW1000 is a chlorine-tolerant nanofiltration module widely used in the production of process and potable water. 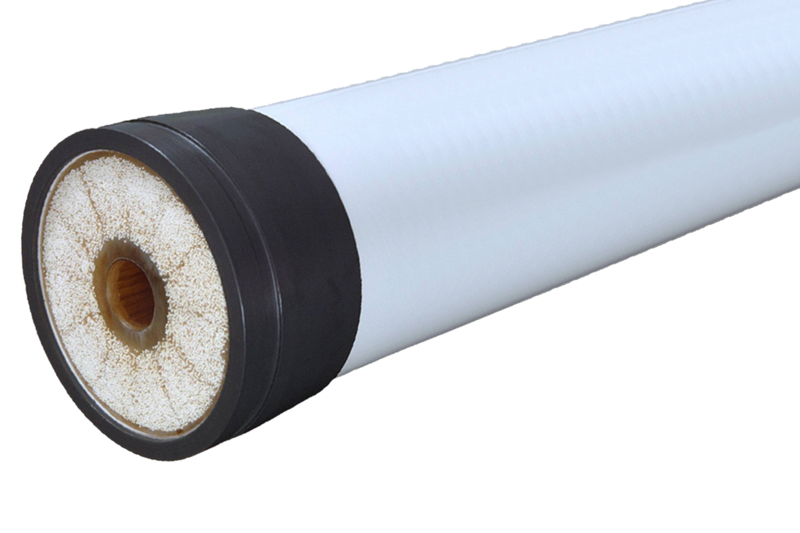 This innovative module combines the high chemical resistance of X-Flow membranes with hollow-fiber technology and the superior properties of spiral-wound nanofiltration in the retention of dissolved organic matter. Typical applications are the filtration of surface water and WWTP effluent for the removal of color components, such as humic or fulvic acids, often in combination with the X-Flow Color Removal Package (CRP). The HFW1000 modules are operated vertically. The modules are operated with crossflow (feed- and-bleed). The HFW1000 is highly effective in the removal of natural organic matter (NOM) with limited reduction of bivalent salts (e.g. hardness). With these characteristics, the HFW1000 is extremely suitable for the production of potable water from surface water, without the need for remineralization. 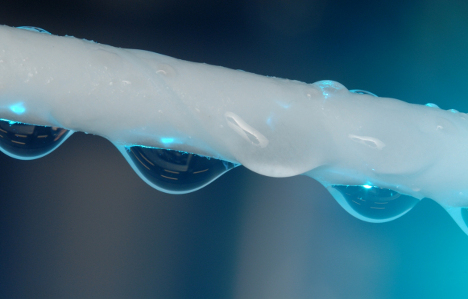 The hollow fiber nanofiltration membranes require no pretreatment other than a strainer. The integration of the HFW1000 membrane with the Color Removal Package in the pretreatment for potable water allows for a simplified process. Skipping the coagulation step means reducing waste and the use of chemicals. Furthermore, as organic matter is removed more effectively, the GAC (granulated active carbon) regeneration interval can be decreased. These advantages were demonstrated in several case studies and pilot projects. Other typical applications are the filtration of industrial wastewater treatment effluent (e.g. textile effluent) and process water production. The HFW1000 membrane modules provide communities in remote areas with a simple, robust, safe, and reliable system to produce potable water without the need for transportation of large amounts of chemicals and waste.